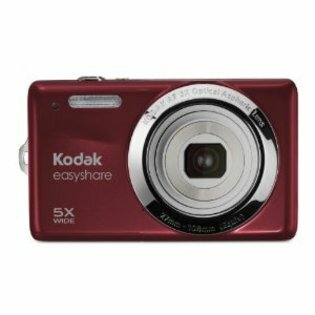 day to day MOMents: Kodak Easy Share M23 Camera 14.2 MP G!veaway! Kodak Easy Share M23 Camera 14.2 MP G!veaway! Photo was provided by DirtyTruthReviews to me, for the purpose of this post. Enter below in the Rafflecopter to win a Kodak Easy Share 14.2 MP Camera! Find out more info about the cool camera on the Kodak site here. The prize is being provided by Dirty Truth Reviews, as a joined giveaway event with some other bloggers. Some random facts from the site; camera takes amazing pictures where you can edit and share your videos/captures right away, with all the great up to date features packed into a small pocketable camera, including being able to share via email, twitter, facebook, and many other social media sites with ease. Absolutely worth entering, and do look at the above link for all the information about the camera.